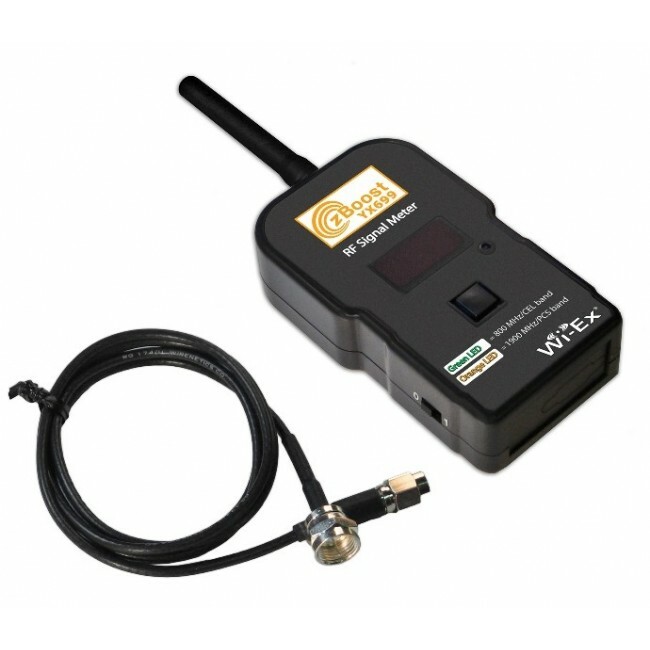 The zBoost YX699 Dual-Band RF Signal Meter by Wi-Ex is designed for professional installers to help determine the signal strength in the area. When used with a directional antenna, the YX699 Signal Meter can help obtain the ideal antenna aiming position. The zBoost YX699 Dual-Band RF Signal Meter by Wi-Ex is designed for professional installers. The signal meter can detect and measure existing signal strength which can be used to determine the best location for outside antennas or to help aim directional antennas. The YX699 can also be used indoors to identity the locations inside that suffer for poor signal strength to help in locating the inside components. The YX699 is a dual band signal meter that can measure signal strength on both the 800 MHz Cellular and 1900 MHz PCS frequency bands used by more carrier's in North America. It does not support the AWS or LTE frequency bands. The built-in display can show the signal strength in either a 0 to 99 scale (with higher being a stronger signal) or the decibel signal strength between -25 dB and -99 dB. The meter requires 3 AA batteries (not included) which will last about 8 to 10 hours and comes with everything necessary to start taking signal measurements. The signal meter includes an SMA-Female connector which can be used to attach an external antenna using the included adapter cable. 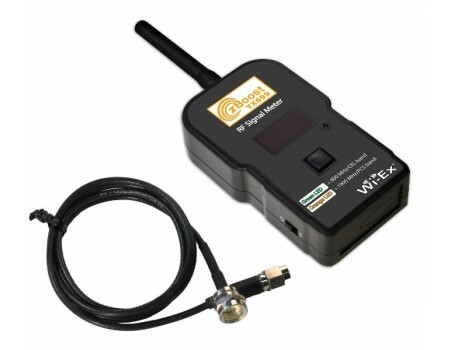 The YX699 includes a small whip antenna that's useful for taking basic signal measurements. During a system installation, the meter can be directly connected to a Wi-Ex outside antenna to help determine the ideal mounting location and aiming direction. By improving the location or aim of the outside antenna, you help get more existing signal to the amplifier which can greatly improve the coverage area and performance of the signal booster system.